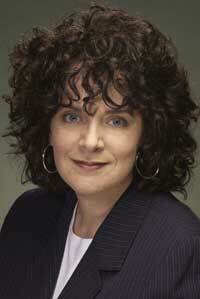 Ronna Rubin, owner of Rubin Media will become the first recipient of the Nancy Saturn Award of Inspiration. The honor is set to be presented June 24 during the American Artisan Dinner Party & Art Auction at Nashville’s Noah Liff Opera Center. Nancy Saturn’s involvement with Gilda’s Club Nashville and other cancer-related organizations helped her to make a difference in many people’s lives. The Award bearing her name was created to perpetuate her memory by honoring an individual who, like her, has used their time, energy and talents to further the organization’s mission. Gilda’s was formed in 1998 to offer free lectures, workshops, classes, support groups and social activities in a non-residential, homelike setting. It provides a gathering place where people living with cancer and their families and friends can join with others to actively involve themselves in building social and emotional support as a supplement to regular medical care. Ronna Rubin served on the Gilda’s Club Nashville Board of Directors for eight years and gave of her time and talent on countless projects. She also worked side by side with Nancy Saturn on many of those efforts.